In the bottom-most of the charts on the right, the one with the Y-axis rescaled... are you certain that the blue line got rescaled along with the axis? The chart on the left suggests that whatever is being plotted along the Y-axis (giving the blue line) never exceeds approx. "175". Yet the bottom chart on the right has whatever is being plotted to produce the blue line roaring well beyond "200". I've responded to your cross-posted question over at YARG.. er... Flares. 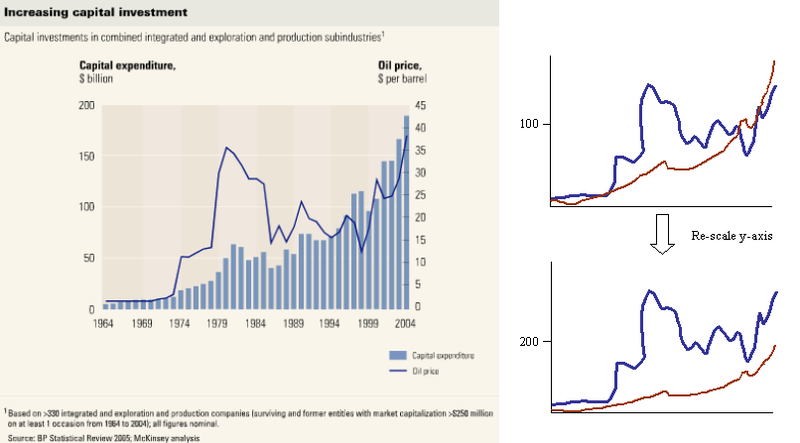 The second axis is not shown on the redrawn charts, but in the original there were two - one for the price of oil and one for capital expenditures. Yup. My mistake, Morgan. I looked without reading even remotely carefully. My only defense, and a weak one it is, is that the second Y-axis against which the blue line is plotted should probably have been shown on the two graphs on the right. Glad you figured it out. I should have said "rescaled the left axis" to make things more clear. Wasn't until I read knucklehead's post that I realized the left axis was for the columns in the original chart. The fact that the blue line rose quickly and spent most of the time above (and to the left of) the columns gave the mistaken impression that it belonged to the left axis. This illustrates my own conflict with dual axis charts: how to make it clear which axis accompanies which data, and how to display the series of data without one obscuring the other and without showing false interactions between the data. 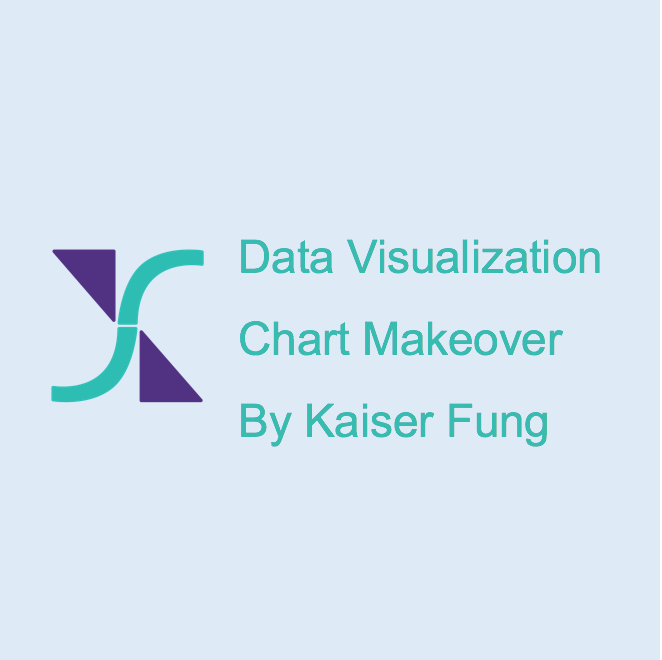 Is it possible in Excel 2007, in order to graph clusters of widely dissimilar data, to have multiple scales on the Y-axis? Please respond directly to my email. TIA.